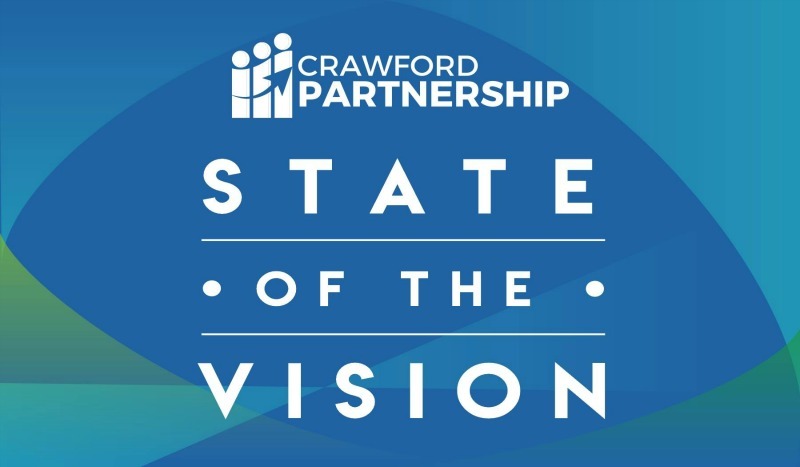 The Crawford Partnership for Education and Economic Development will host its annual State of the Vision dinner and awards on March 14 at the Pickwick Place. During the State of the Vision, the Partnership’s Board of Directors and staff members share key highlights from the prior year, announce vision and plans for upcoming initiatives, and recognize local leaders and organizations with awards in the following categories: Innovation, Collaboration, Economic Development, Community Development, and CU Lead Alumni Impact. This year’s keynote will be delivered by Melody Warnick, author of ‘This is Where You Belong: Finding Home Wherever You Are’, published in 2016 by Viking/Penguin and recently released in paperback. Described by Richard Florida as “an important book for so many people who are choosing their place to live,” ‘This Is Where You Belong’ explores the science behind the groundbreaking concept of place attachment and leads longtime residents and newcomers alike to commit to a more passionate relationship with their community. It has been featured in the New York Times, Time Magazine, Fast Company, Psychology Today, Realtor.com, Forbes.com, and Inc. magazine. ‘This is Where You Belong’ is a practical guide to improving, investing in, and coming to love the place where you live. A freelance journalist for 15 years, Melody lives with her family in Blacksburg, Virginia. You can find her online at melodywarnick.com. Registration for the State of the Vision will open on February 1. Follow the Crawford Partnership on Facebook or visit the event page for more information as the event nears. You can also email partnership@crawfordpartnership.org or call 419-569-1809 to learn more.